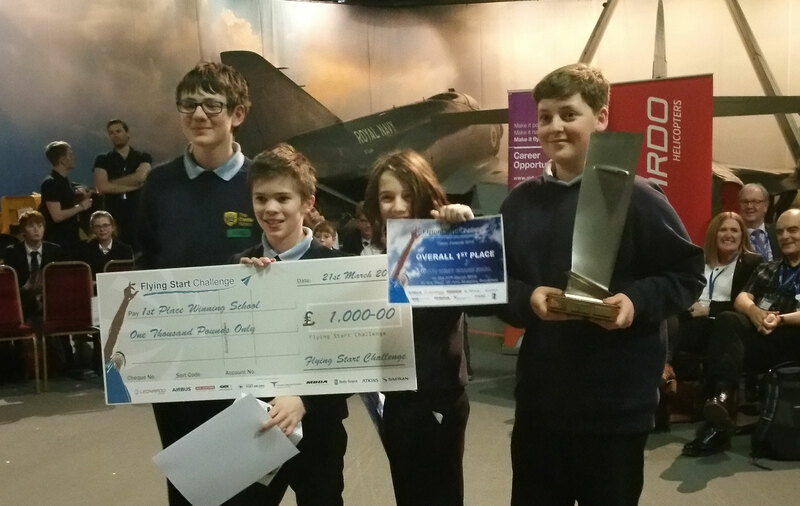 21st March 2018 – The “Squawking Albatross” team from Castle School in Bristol stormed to overall victory as winners of the FSC Grand Final 2018. They were pushed hard the entire way by BFG (Clifton High – Bristol) and JSD Airlines (Gordano School – Bristol). It was a clean sweep for the Bristol Teams in this year’s Grand Final top three spots, but the Gloucestershire and Yeovil schools will be back with a vengeance next year! As always, the Grand Final was not just about the gliders, the kids also took part in a variety of engineering activities in order to apply their engineering knowledge and also to promote STEM. The children took part in two other activities, counting towards the overall results. Other activities include Parachute Drop, where the students had to make a parachute with a basket that can drop an egg safely into a target area by using paper, masking tape, straws, string, and a black bin liner. The second activity challenged the kids to design and build a bridge by using a combination of paper, adhesive tape and straw. Before the fly-off took place, the children got the opportunity to present their design to a panel of judges, where marks were given for originality, recyclability and innovation. Finally, all the teams took part in the fly-off, with “BFG” from Clifton High recording a winning distance of 19.9 metres! Congratulations to all the teams who reached the Grand Final, our Grand Final Champions and last but not least, the fantastic helpers at the museum! We are already looking forward to next year’s challenge! Full list of prize winners.